Mantaray is the duo of Susumu Yokota and DJ Ray. Yokota is a prolific Japanese trance and ambient composer; DJ Ray hails from New Zealand and he predominantly DJs at parties in Australasia. Yokota and Ray first met in Tokyo in 1992 and starting recording together in 1994. They named their CD Numinous Island after an essay by Peter Blegvad of Slapp Happy titled On Numinous Objects and Their Manufacture. In this essay Peter describes a numinous object as being a “mirror of the spirit” and the “radiant focus of an entire world.” Together as Mantaray, Yokota and Ray transform Blegvad’s words into a collection of 20 ambient soundscapes that flow gently from one to another, yet each one is unique and never boring. Using the sounds of water, birds and other animals, found voices, and electronics Mantaray weaves a sonic quilt of light and airy and darkly sinister moods. 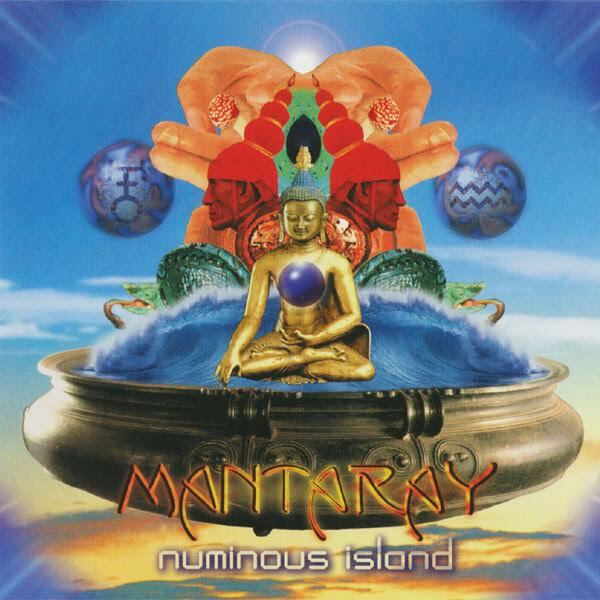 There is a distinctive ethnic or native quality to Mantaray’s music that puts them in the same league as Jorge Reyes and Steve Roach. Nowhere is there evidence of Yokota’s or Ray’s rock, punk, and techno roots. And thankfully there is none of that mind-numbing Orb, FSOL, or Aphex Twin dance trance schlock so popular in the mid-90s. Instead, like Brian Eno’s decades old ambient work, Numinous Island works on several levels. You can play it at a low volume to augment your surroundings or you can crank up the volume and focus on the music to explore the golden threads in Mantaray’s intricate sonic world. My only complaint with Numinous Island is that I cannot read the song titles on the inserts. There is not enough contrast between the text and the beautiful artwork for me to discern the words. But this nit pales in comparison to the excellent quality of this release. By all means look for this CD.